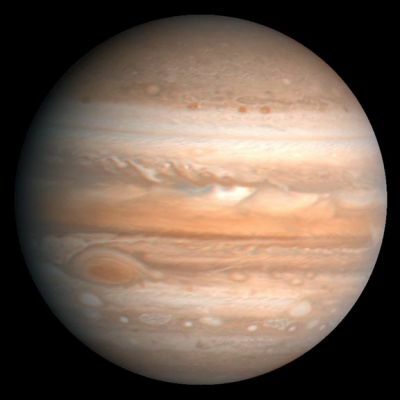 Jupiter is th largest planet in our solar system. It's more then threehundred times larger than Earth! Jupiter is made mostly of gas (kinda like some people!) mostley hydrogen and helium!